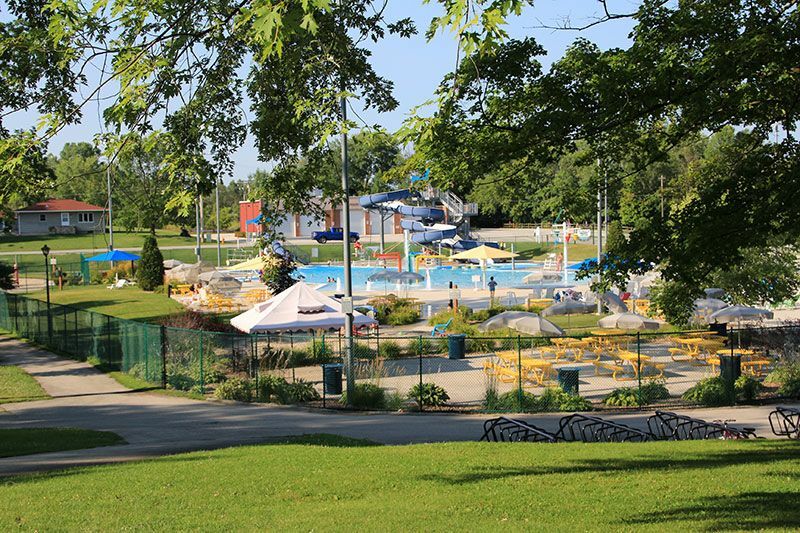 "Experience all the activies Plymouth Wisconsin offers"
Refresh yourself on those hot and humid days with an invigorating dip in our outdoor pool. If you are more adventurous, try the water slide! The pool is a zero entry pool and has many fun water elements to keep the young ones entertained! Concessions are available. 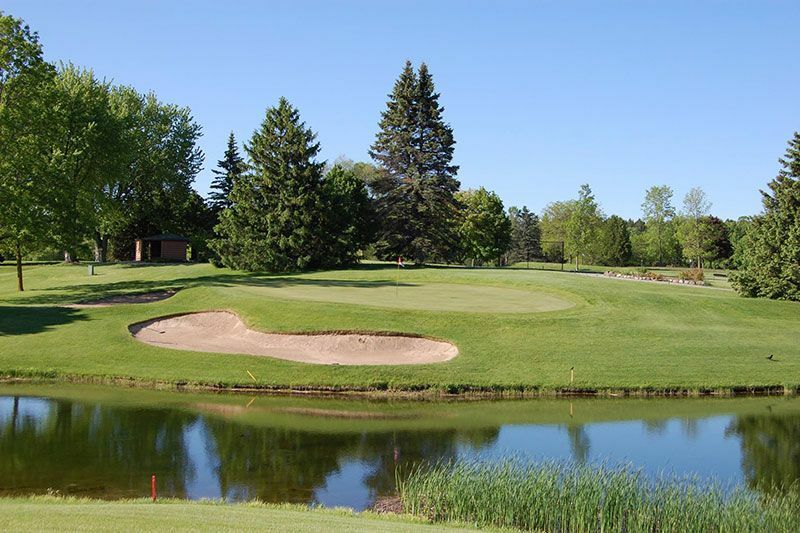 Evergreen Golf Course offers a 9-hole, par 29 course and driving range with golf clubs and pull cart rentals available. Take your best shot! Open to the public, open tee times. Open daily mid-April through October. 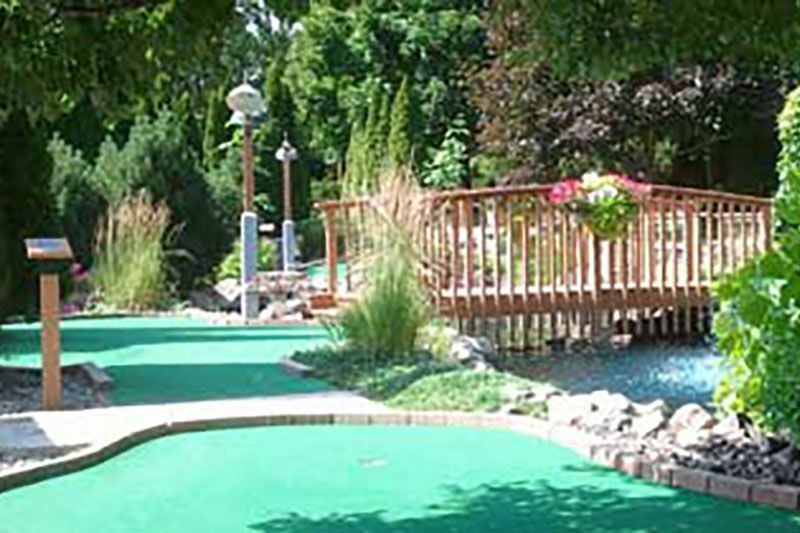 Enjoy 18 holes of mini golf on Shady Trails or the challenging 18 hole Stoney Creek. Tom and Jerry's also features six batting cages including three hard ball and 3 slow pitch soft ball. 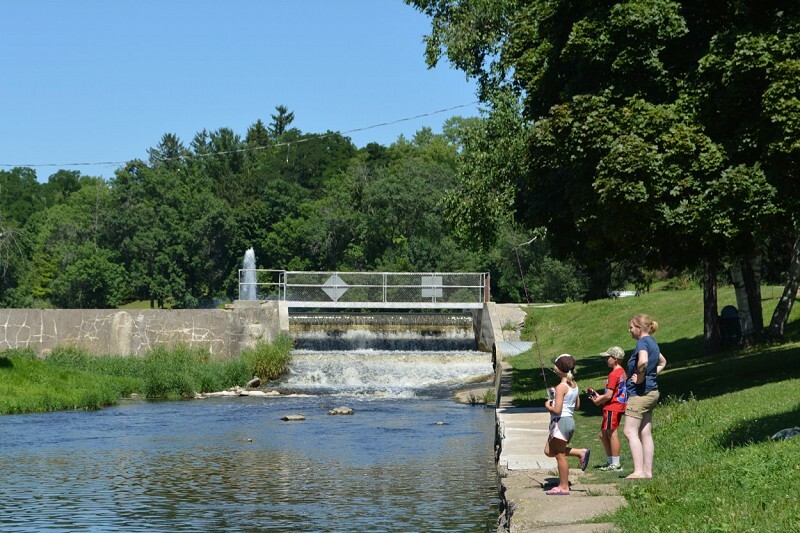 The Old Plank Road Trail runs from Sheboygan to Greenbush, and covers 17 miles. The terrain varies from flat to gently rolling with one large climb or descent near County Highway S (just east of Greenbush). The Plymouth trailhead is located on the east side of Plymouth. The trail is shared by walkers, joggers, mopeders, equestrians as well as snowmobiles in the winter months. Plymouth offers a lovely little fishing area right off of Eastern Avenue. Choose to fish the Mill Pond, or right below the damn. 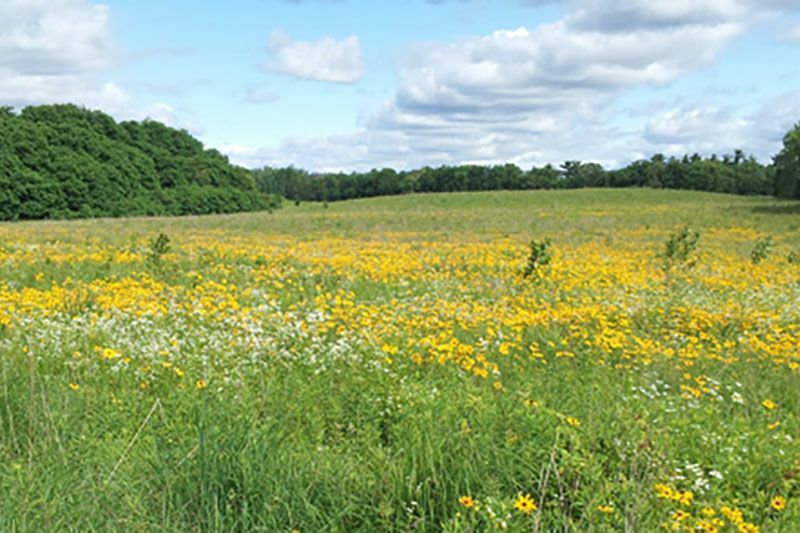 The Kettle Moraine State Forest, Northern Unit, runs from Glenbeulah in the North, south to Kewaskum, near West Bend. Contained within the State Forest are numerous trails offering hiking, biking, fishing, camping, boating, swimming and winter activities. The Greenbush trailhead is nearest to Plymouth and has two trail systems: 4 loops of challenging mountain bike trails totaling 9 miles, interwoven with 5 loops of hiking trails totaling 13.5 miles. Hikers and off-road mountain bikers share this multiple-use trail system in season. For safety reasons, these trails are use-specific: hiking is not allowed on the bike trails and biking is not allowed on the hiking trails. In winter the hiking trails are machine-groomed for cross-country skiing. 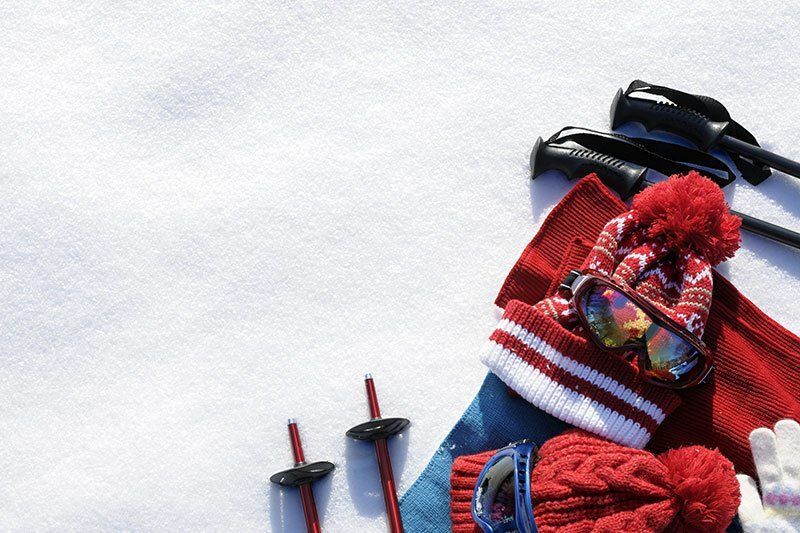 Pets and hiking are not allowed on ski trails. The 1.2-mile Brown loop at Greenbush is lighted for night skiing. The bike trails are excellent for winter hiking and snowshoeing. A heated picnic shelter, picnic tables, grill, drinking water and vault toilets are near the trail head. There is also access to the Ice Age Trail. 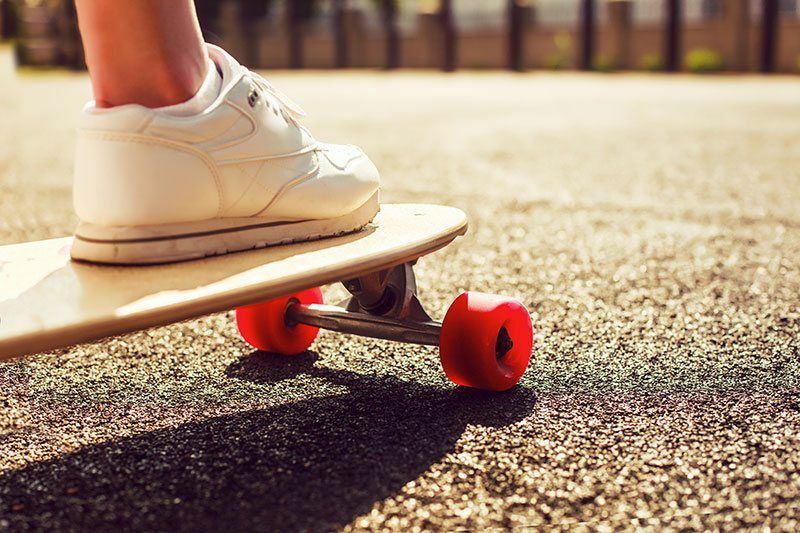 This outdoor skateboard park has something for everyone, regardless of age or skill level, including quarter pipe hips, launch ramps, bank ramp hips and more. New is a wood built sun shade. 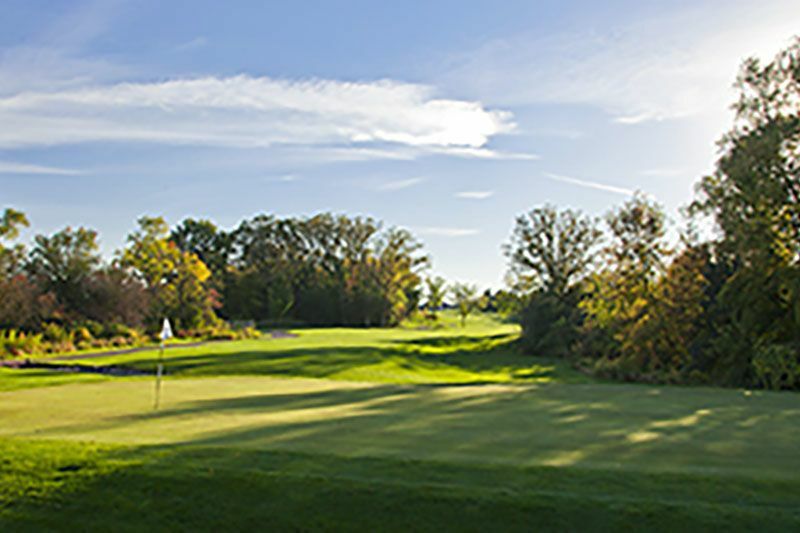 Located in the beautiful Northern Kettle Moraine, Quit Qui Oc Golf Club hosts thousands of golfers each year on its 27-hole course spread over 250 acres. 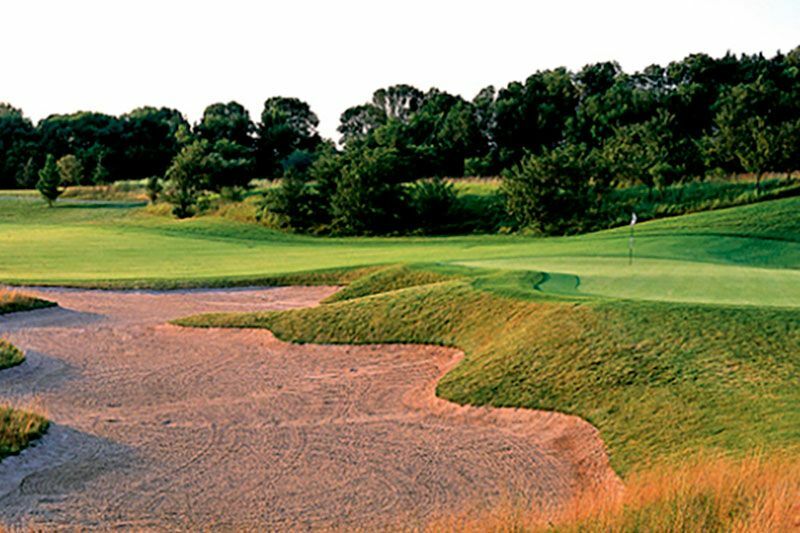 Family-owned-and-operated for over 50 years, golfers of all skill levels enjoy friendly customer service. Quit Qui Oc Golf Club provides full amenities for golfers, including a learning and practice facility and pro shop along with a full-service restaurant and bar. Golf lessons are available from PGA and LPGA professionals, as well as power cart and club rentals for those who wish to travel light. Expertise and coordination for tournaments and events are available from staff professionals. Adults and juniors are always welcome to come and enjoy a round of golf. Quit Qui Oc’s open season begins in spring and runs through the beautiful autumn. 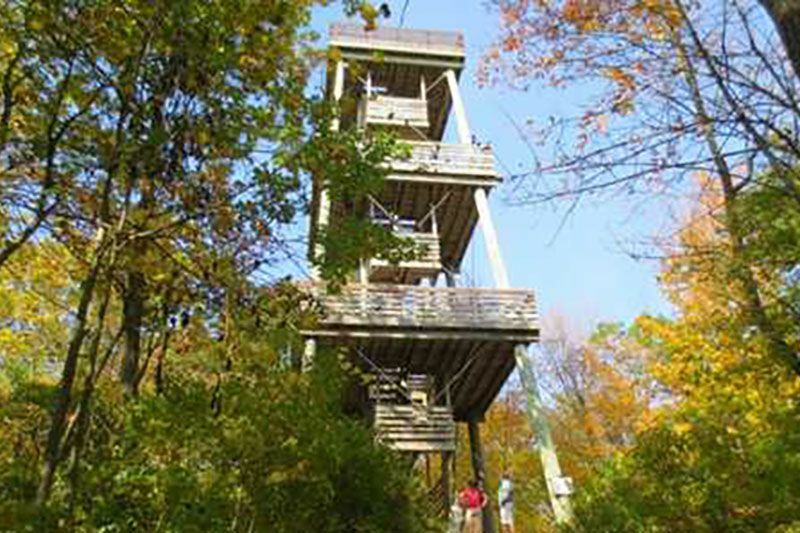 Climb the tallest wooden tower in Wisconsin! The 80 ft. wooden observation tower includes four large viewing platforms. Located at the Broughton Sheboygan Marsh. 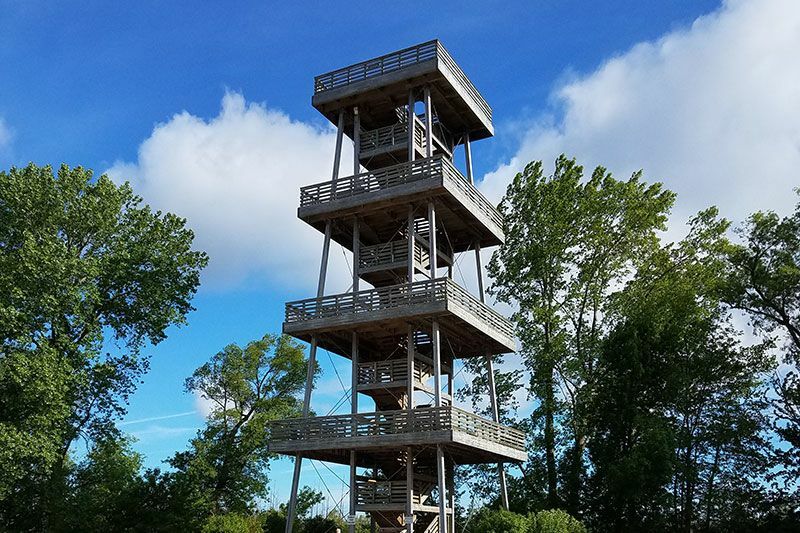 Located inside the Kettle Moraine State Forest, this 60-foot high wooden tower was rebuilt in 1988 and offers a panoramic view of the forest and surrounding area. At the Greenbush recreation area more than 13 miles of machine-groomed cross-country ski trails are provided for diagonal and skate skiers. Pets and hiking are not allowed on ski trails. A state trail pass is required at Greenbush and Zillmer for all skiers age 16 and over. The 1.2-mile Brown Loop at Greenbush is lighted for night skiing. 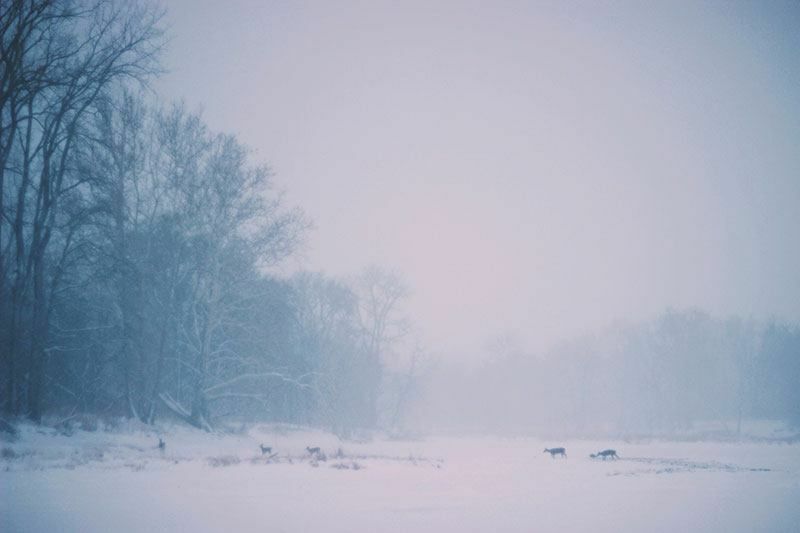 The trail lights can be activated by skiers nightly between 4:30 and 9:30 p.m. A heated log shelter house, a sledding hill and nine miles of snowshoe trails also are open to the public at the Greenbush recreation area. Volunteers from the Northern Kettle Moraine Nordic Ski Club (NKMNSC), in cooperation with the state forest, regularly machine groom the ski trail system for diagonal and skate skiing. 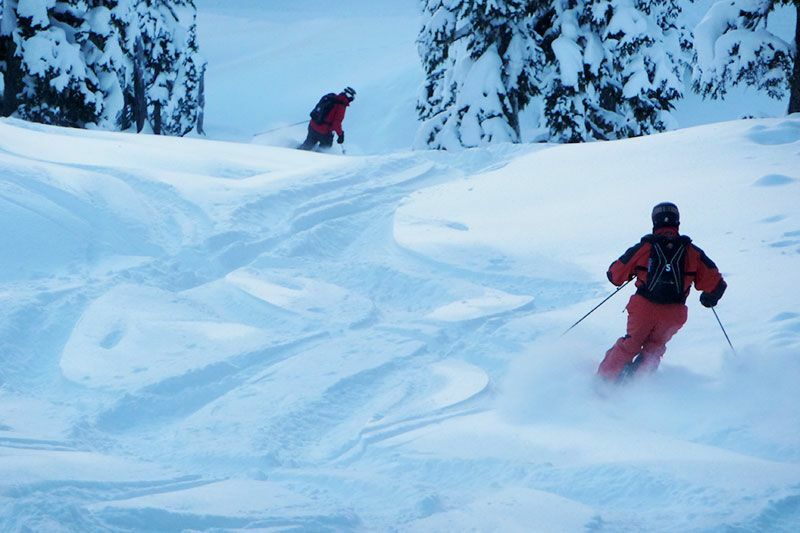 Nutt Hill will open for the season when 10-12" of natural snow is on the ground. A heated shelter is available for warming up and grabbing a soda, hot A heated shelter is available for warming up and grabbing a soda, hot chocolate or snack. Snowmobilers enjoy a system of paths that are marked with highway signs.